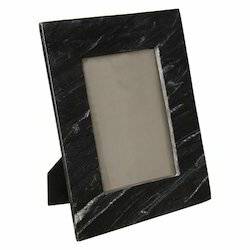 Our product range includes a wide range of soapstone photo frame, marble photo frame and black marble photo frame. 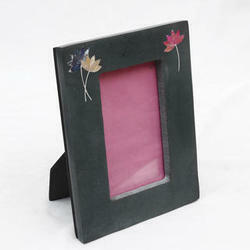 Soapstone Photo Frame offered find extensive use in home areas and provide suitable support for functional & decor purposes. Made available in quality construction finish, these provide for durable usage and can be made available in different sizes and beautifully crafted finish options to match up with the specific tastes of the customers. Some of its features include enchanting presentation that makes these perfect choices of customers; offered in a range of design choices; supporting demands of enhancing aesthetics of surrounding décor. 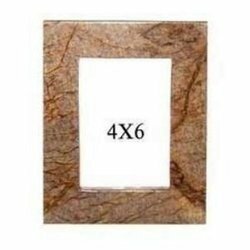 Marble Photo Frame offered can be made available by us in different exclusive design as well as size options to pick from. Featuring utmost perfection, these designer photo frames reflect excellent craftsmanship standards and help in making the overall presentation more mesmerizing. Some of its features include perfect choice for self use as well as gift to family and friends; smooth surface and designer appearance; excellent quality, superior textured and attractive carved looks. Photo Frame offered come perfectly designed and developed keeping in mind tastes of customers and provide for perfect functional as well as décor support to the surroundings. Made available in smooth polished finish, these designer frames can be made available in choice of different finish shapes and enchanting surface finish treatment options. Some of its features include appropriate for gifting and self use purposes; available to customers at very reasonable rates; enhances look and feel of surrounding décor. 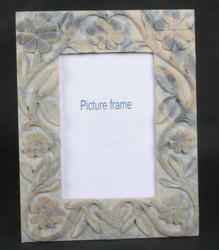 Looking for Soapstone And Marble Photo Frame ?